When was the last time you looked up and considered your place in the universe? In recent years, an increasing number of the guests on our desolate trips look up at the Milky Way on moonless nights and candidly admit that they’ve never seen anything so beautiful in their lives. This has not been the norm for humanity; only in recent centuries have we cast our eyes elsewhere and forgotten the stars. 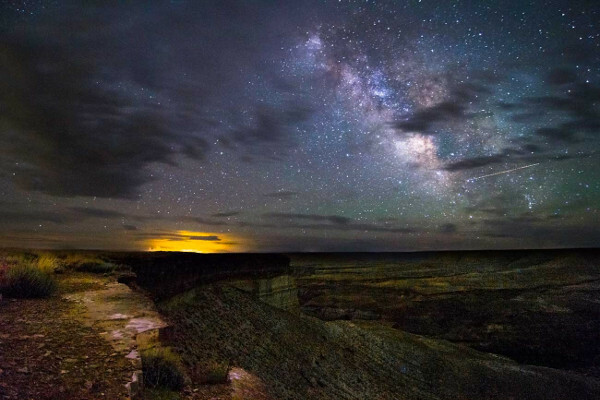 While much of the Earth is losing its dark night skies to light pollution and most Americans will live their whole lives never seeing the Milky Way, the deep canyons cut a starry ribbon for you to decipher. 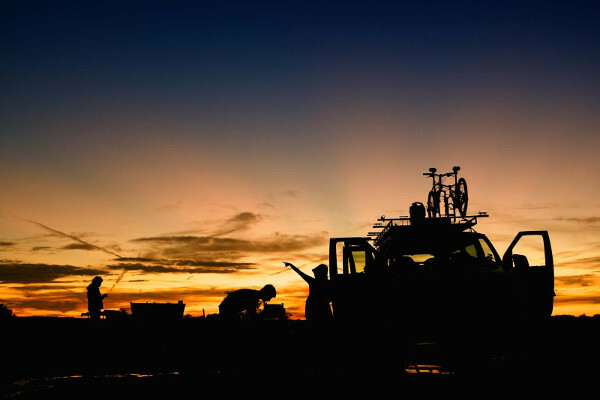 We are happy to say the trails we bike and the rivers we run, are all remote and have some of the darkest night skies on the planet. 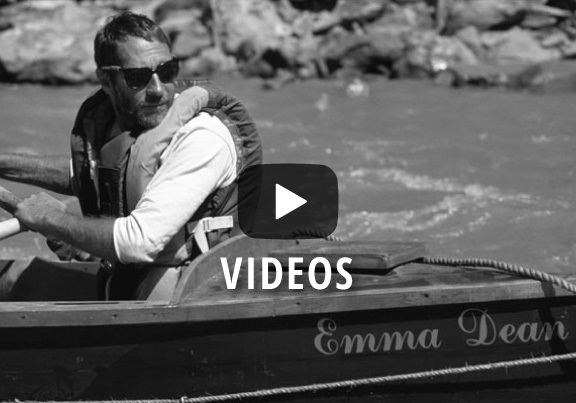 Time on the trail or river is measured differently. Our guides spend each day counting time by the moon’s cycles, becoming keen star-nerds. For this reason, Holiday River Expeditions is excited to partner with Clark Planetarium, in sharing a new experience of the stars with those curious enough to ask the question; and simply look up. 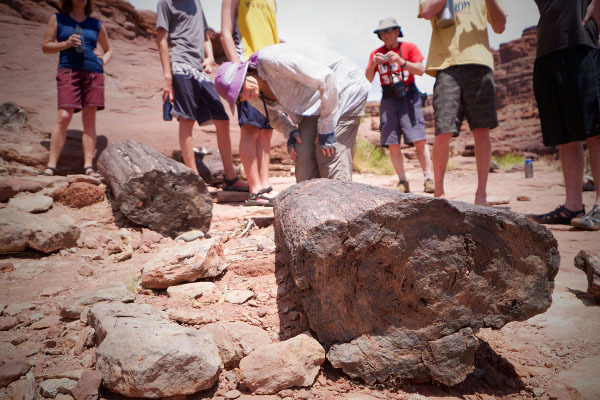 April 27-30, 2019 4-days ~ This White Rim Trail bike trip leads you through Canyonlands National Park, which was recently certified as a “Dark Sky Park” by the International Dark Sky Association. 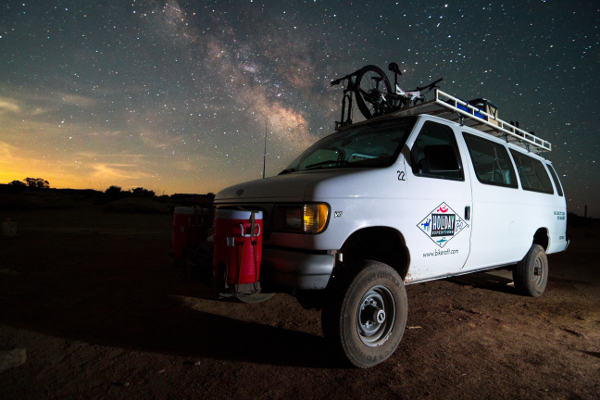 We will not only leave our cares in the dust on an exhilarating and scenic bike-tour; but at night we will explore the Milky Way, see the Andromeda Galaxy, watch satellites and meteors, and learn constellations. With both binoculars and naked eye we can open our imaginations up to the stars. Additionally, on these land-based stargazing vacations, we also haul along a nice telescope to peer even deeper into the abyss. 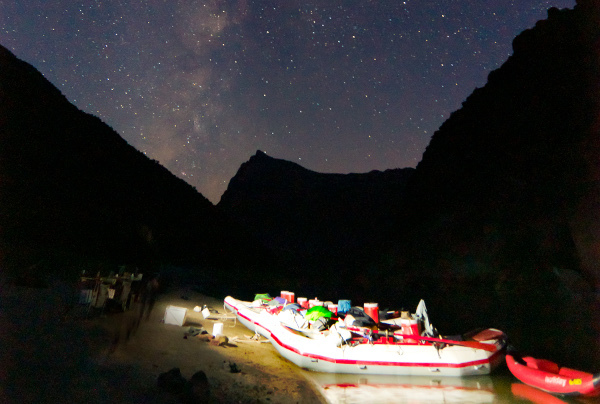 May 27-31, 2019 5-days ~ The Green River through Desolation Canyon offers the big night sky view along with exciting rapids by day. Each night we look towards the starry-skies and learn about the great unknown. 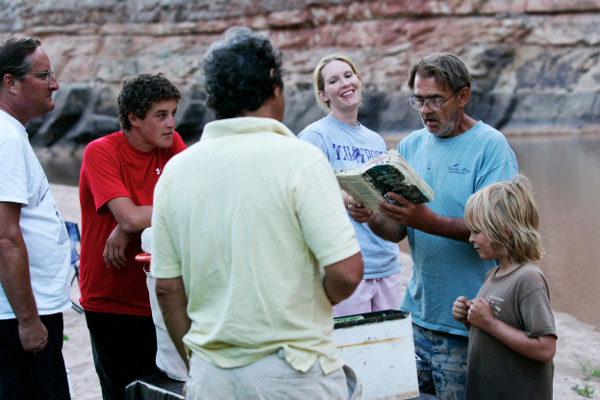 Spend your days exploring side canyon hikes to rock art and ancient Indian ruins along with consistent whitewater fun. In the evenings let your mind expand alongside the universe around us. Using both binoculars and the naked eye, this trip will explore the Milky Way, see the Andromeda Galaxy, watch satellites and meteors, and learn constellations. 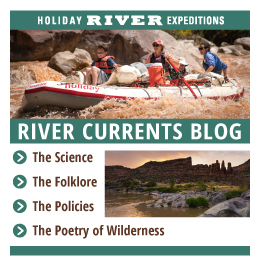 July 30-02, 2019 4-days ~ Your Lodore Canyon river rafting trip will flow through Dinosaur National Monument, currently recognized by the National Park Service as a “Sanctuary of Natural Darkness.” On this trip, we will connect to ghosts of river-runners and canyon dwellers of the past, escape into deep-red cliffs and find exhilarating whitewater. During the day float through Whirlpool Canyon and at night peer into the Whirlpool Galaxy; after dinner the night comes alive as we turn our sights upwards to explore the Milky Way, see the Andromeda Galaxy, watch satellites and meteors, and learn constellations, both with binoculars and naked eyes. 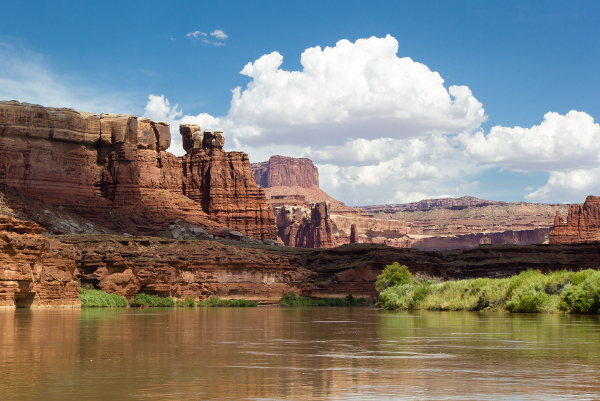 Labyrinth Canyon twists and turns its way south, guiding the Green River on its most tranquil course towards Canyonlands National Monument. This calm stretch of class 0 whitewater will give you an opportunity to truly relax and release any anxieties or stresses the modern world has placed on you. With beautiful beaches and hidden side-canyons, Labyrinth offers both intimate adventure as well as a perfect place for star-gazers. Sept 28-Oct 4, 2019, 7 days ~ For the active adventurer! 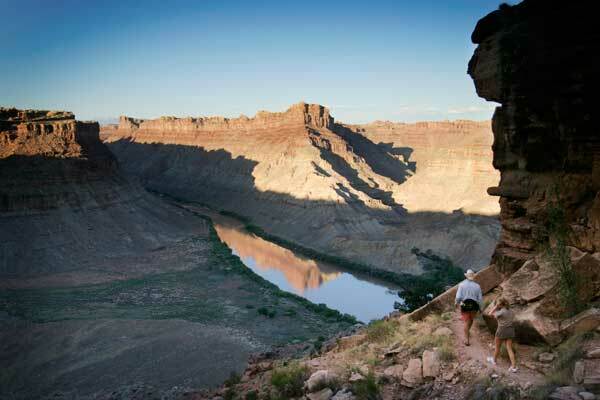 Bike the White Rim Trail and enjoy wide open and expansive views of the night sky from the Island in the Sky region of Canyonlands National Park. Then drop your bike and hop onto our rafts for the second half of the adventure. Even if you’ve already experienced Cataract Canyon, you haven’t seen it like this. 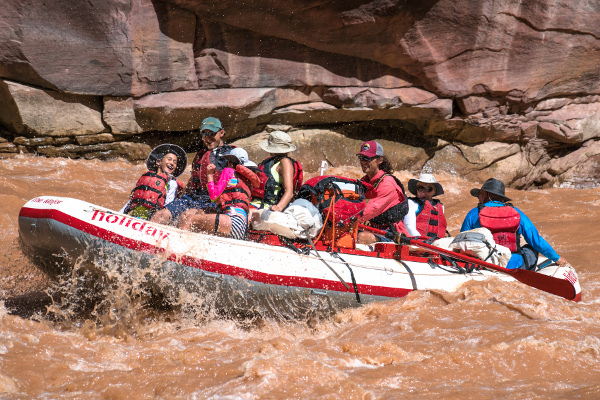 Join us as we approach Cataract Canyon from the Green River side, allowing an extended eight days for exploring canyons and ancient Pueblo ruins in the heart of Canyonlands National Park. 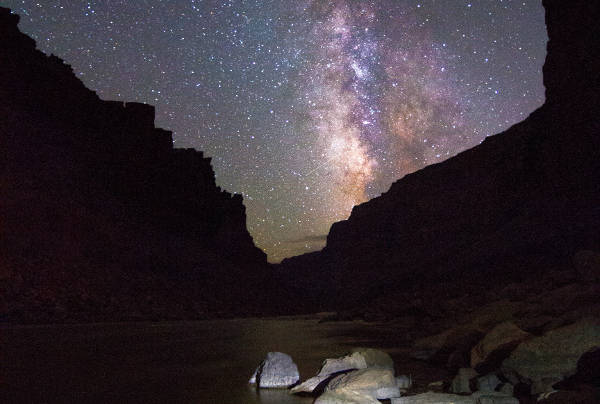 Some of the highlights of this stargazing vacation will include hiking to the Dollhouse, enjoying the depths of Dark Canyon and not to be forgotten the raging whitewater of Cataract Canyon. This upcoming season, we are excited to offer this unique trip with the added richness of a stargazing special!